This device can be used for transporting a wide range of attachments. These can include the standard stock K and M plates, the extended pins and hollow pin chain. It can also be used for transporting many attachments that have been custom designed. 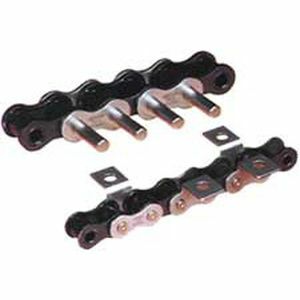 The chain may be made of stainless steel and special plating. It is suitable for high temperature and corrosive applications. 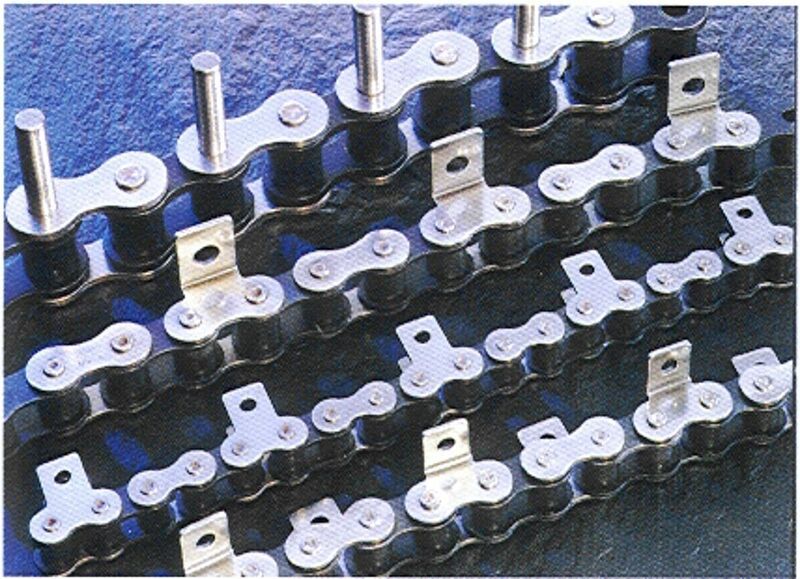 Different chains can also be provided for biscuit manufacturers and chocolate moulding plants. It is also available as flow wrap in feed chains and accumulator chains.